Ahhhh my much neglected blog! How I have missed thee. I was going to blog here my top 10 albums of 2014 some time ago but it never happened. They are lurking somewhere on my Twitter feed. Following a chat with my mate Matt on Twitter about our fave tracks for 2014 to compliment his blog of his fave albums for 2014 on his go to blog for things metal and prog, I thought I'd have a go too. It's harder than you think to single out single tracks from some really stellar albums of last year. I wonder whether the tracks I select will stand up away from the context of the albums from which they come. Sometimes context is all important in music. I am saddened that I didn't include in this list anything from Dave Kerzner's excellent 'New World' especially the expansive 'Stranded - parts 1-5), or from the Neil Cowley Trio's sublime 'Touch and Flee' especially the restrained beauty of 'Kneel Down' or even the real return to form of Thom Yorke away from his Radiohead buddies who managed to out Aphex Twin the Aphex Twin in my book with 'Brain in a Bottle' from 'Tomorrow's Modern Boxes' or even A blast of Transatlantic, especially 'Into the Blue' drawing you skywards from the wonderful 'Kaleidoscope'... Please excuse the links rather than embedded videos - Blogger is not liking me doing too many of those! I have been a fan of the band since 'We're Here Because We're Here'. For purveyors of beautifully crafted, genuinely emotional and very human music - human in the sense that the songs tend to deal with life as it really is, you will find none better. Having moved from beginnings as a death/doom metal band, Anathema have really broadened their musical horizons and flown. I met the band's guitarist and chief song writer Danny Cavanaugh at a gig once and I plucked up the courage to tell him how much their music meant to me. Stumbling over my words a little I explained something about fragile beauty and the sheer humanity of the sound they make. Anyway he seemed genuinely flattered and I got a prog hug! Distant Satellites has many superb tracks and it was very hard to pick one. In the end I plumped for the last track on the album which move me to tears the first time I heard it. The album though is an essential purchase. Twitter has a lot to answer for. Through it I have made some superb friendships but I have also discovered a whole host of music that I wouldn't have otherwise come across. The Contortionist's 'Language' is one such album. Moving away from their musical roots, this band now pack a heck of a proggy punch. Some of the album veers into tech metal and djent, but for me it is the tightness of the arrangements and the sheer musicality that make this album and especially this track one of the stand outs of 2014. I came late to the party on Robin Armstrong's offering to the prog world, having not quite 'got' the sophomore release 'The Man Left in Space' which I know many lauded. It all came home to roost with 'Capacitor' for me. Somehow quintessentially English, the sheer drama of the music draws me in and away. This track begins with accouric guitar and then a heavy riff which slaps you round the chops. Not a complex track, but one where the simplicity of the arrangement does everything it needs to. Another Twitter find. Israel's Distorted Harmony, I am reliably informed began as somewhat Drem Theater soundalikes, but with Chain Reaction they find their musical stride and really step out big time. This track gives a hint at the diverse an rewarding nature of the rest of the album. But if you need a reason to listen, for me it just makes me smile from the inside out. A gem. With a new EP soon to be released, A Formal Horse are for me, one of the key players in the current revival of British prog. Yes there are nods and references to other seminal bands gone before them in their musical palate but they blend them to form something totally new, all topped by Francesca Lewis' superb vocal delivery. Definitely one to watch - or rather listen out for! My love for this band knows no bounds - musical technicality, tight arrangements, heaviness, death growls, circus music oh and chooooooons and boy do they cut it live. Matt Spall it is all your fault. Restoration was a chance to reimagine some old demo material and Crystallised just tops it all. As as MASSIVE King's X fan, andy band featuring Doug Pinnick on bass and vocals in my book is going to be special. But one that also features George Lynch (Dokken, Lynch Mob) on guitar is almost too good to be true. Would their mix of musical styles work together - well yes they do. For fantastic grooves and riffs and soooooulful vocals this is 2014's sadly unnoticed delights. How Matt and his band 'The Fierce and The Dead' don't have more exposure is beyond me, save in the small musical pool that is the prog world. Matt's skill on acoustic and electric guitar is simply stunning. Simple accoustic looped tracks on the one musical hand and slabs of punky anarcho prog on the other. Lucid is Matt's finest music hour as a solo artist for me and combines both of those musical traits effortlessly. Oxymoron is a stunning opener and channels the spirit of Bob Mould perfectly. I don't subscribe to Spotify, but I do use it occasionally to listen before I by something. Very occasionally I click on the 'you've listened to X, you might also like Y' link. This is how I found Norway's Seven Impale and for me, one of the most important musical discoveries of recent years. 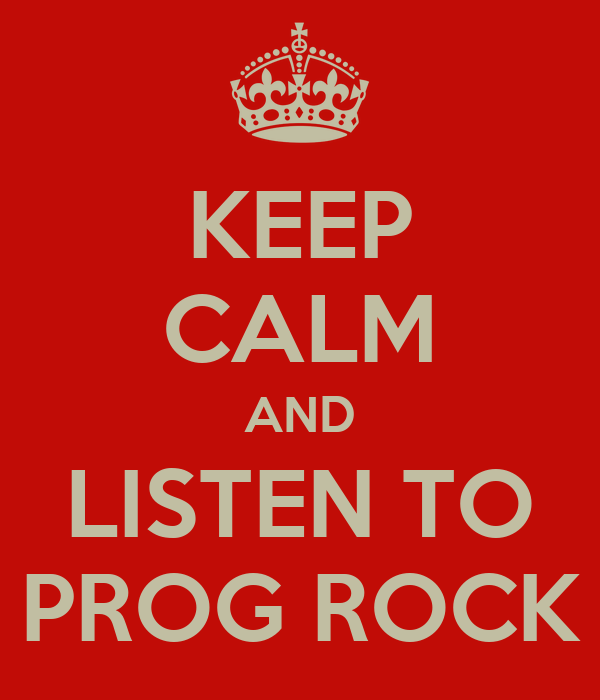 I love jazz, I love prog - they do both with a bombastic tongue-in-cheekness. Musical fun fun fun! I love jazz. I grew up listening to it and I my dad is responsible for much, so I had to include some here. I was introduced to this Bristol band by another Twitter friend and I love their twist on contemporary jazz. They have pushed it to it's creative limits in similar and yet different ways that The Bad Plus and E.S.T have. VS2.0 is a gem and if you don't like trad jazz - give this a whirl. This song scitters and jumps like the jazz drum n' bass mashup that it is. Dance, you won't be able to help yourself!